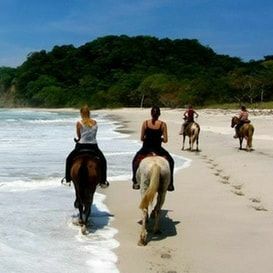 ﻿Leo Tours and Surf School﻿ welcomes you to discover Playa Samara in Guanacaste on Costa Rica's north Pacific shore. Whether you're a beginner or a professional angler, take a tour with us down the Guanacaste coastline for an afternoon of deep sea fishing. All fishing equipment is provided and water and fruit will be on-board. Keep whatever you catch or we can prepare a dinner for you with your fish! Enjoy a few hours on the ocean and see dolphins, whales, turtles and stingrays. Stop at the island, Isla Chora, to see the iguanas and try some snorkeling while swimming with beautiful schools of colorful ﬁsh. Try some ﬁshing while enjoying a beautiful day in the ocean! Water and fruits are included in the tour. Shower and locker available at Leo Tours. Kayaks and life jackets will be waiting for you at the beach in front of Leo Tours. Our guide will lead you at your pace to Sámara’s island, Isla Chora, where you will stop to relax and snorkel in the reef around the island. Water and fruits are included in the tour. Shower and locker available at Leo Tours. Our experienced and professional instructor will walk you through the basics of surﬁng on the sand. Afterwards, they will take you to the water to catch your ﬁrst waves. After your lesson, you can visit us during the next 3 days to borrow a board and continue practicing! Shower and locker available at Leo Tours. Paddleboard hourly rentals, paddle-boarding lessons, paddleboard yoga in front of the Samara's island, and if you're up for the challenge a guided paddleboarding tour to Isla Chora. 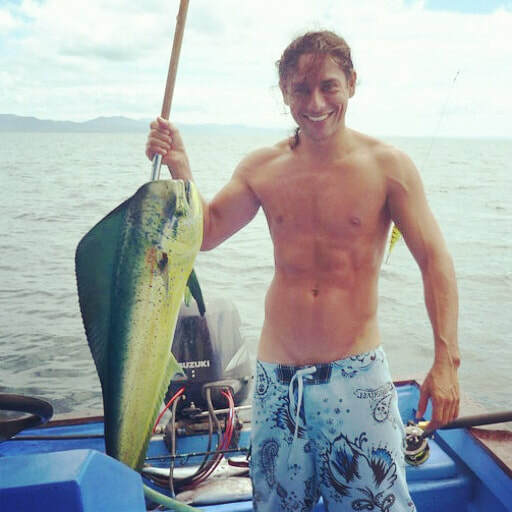 Board the Leo Tours boat and travel up the coastline to visit some of the best spearﬁshing spots in Guanacaste. Hunt ﬁsh such as mackerel, giant red snapper and rooster ﬁsh. Water and fruits are included in the tour. Shower and locker available at Leo Tours. This romantic evening is perfect for honeymoon or birthday celebrations. There are three options for this late afternoon tour: stop at the island to go snorkeling, scan the water for dolphins and whales, or enjoy a seafood barbecue dinner with wine right on-board the Leo Tours boat! Then, stop to listen to the water and watch the sun set over the Pacific. Paddle out from Playa Samara in the late afternoon and head toward the island. Stop at Isla Chora to snorkel and enjoy a fresh pineapple, and then continue on around the island as the sun sets over the water. Enjoy the beach at the water's edge, then head up into the woods and across the river. View birds, iguanas and other wildlife before heading back down the hillside. Join us on this awesome adventure with the happiest and healthiest horses in Sámara! We'll pick you up in the evening when the turtles are most active and take you to Playa Camoranal just down the coast. 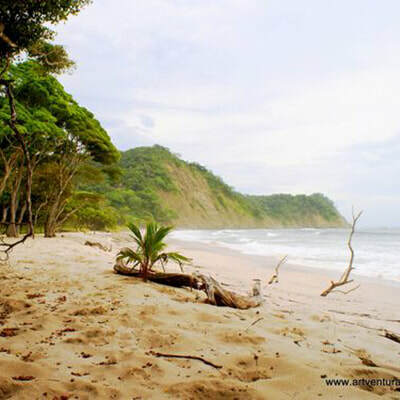 Here, we'll see the nesting sites of Leatherback, Olive Ridley and Haskbill sea turtles. Come with us twenty minutes north of Samara to the rural area of Belen. Take a short walk through the forest and spend a few hours at the double waterfall. Enjoy fruit and refreshments and natural wildlife surrounding the water. Come to Costa Rica with your spearfishing equipment, and we'll take care of the rest. We'll provide transportation to and from the airport, group lodging in Playa Samara, two home-cooked meals per day, and of course, all the spearfishing you can handle! Stay a weekend, or a month, with three people or thirty, we'll make it a vacation you'll never forget. We are located on the beach in Playa Samara, 50 meters north of Gusto Beach Restaurant.